All good things come to an end. 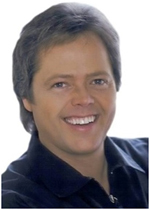 MARTIN HUTCHINSON talks to little Jimmy Osmond about The Osmond Brothers’ final tour of the UK. FOR more than 50 years, The Osmond Brothers have been entertaining us and their 50th Anniversary tour a couple of years ago was almost a complete sell out. However, good things must eventually come to an end and to that end, they are undertaking their final UK tour – and it’s their biggest ever. Thanks to their appearances on The Andy Williams Show on TV, The Osmonds became world-wide stars. When they started to release records and tour the reaction was so powerful that “Osmondmania” hit the world, with scenes reminiscent of “Beatlemania” from the previous decade as they amassed millions of - predominantly female - fans. Their hit catalogue is pretty impressive, with smashes like One Bad Apple, Let Me In, Crazy Horses and Love Me for a Reason being the pick. 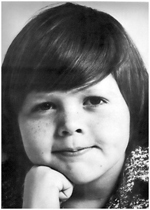 Not only that, it wasn’t long before members of the family went solo and for a time the charts included hits by The Osmonds, Donny Osmond, Marie Osmond, Donny and Marie Osmond and Little Jimmy Osmond. They have sold more than 100million records and have garnered 59 gold and platinum discs as well. Jimmy was never a part of the group back in the 70s, he arrived on the scene in 1972 with Long Haired Lover From Liverpool; but 20 years ago he decided to join them in touring. Speaking from his home in Utah, Jimmy tells me Britain has a special place in his heart. And, of course, they have many fans here; but here Jimmy contradicts. The line-up for this final UK tour is Jimmy, Jay, Wayne and Merrill. “Yes,” Jimmy says, “this line-up has been the core. It’s my ‘safe’ place really. There have been times when different combinations of the group have toured, sometimes with four members and sometimes only three, but Jimmy says these fluctuations don’t affect the arrangements to any large degree. After a trio of top 20 hits, Jimmy seemed to disappear from the scene and got involved with other things, as he explains. “I never really stopped myself actually. I performed a lot in Japan and then I got involved in other people’s careers from Bon Jovi to Michael Jackson. He sums it up simply. When he had the hit with Long Haired Lover From Liverpool he was reported as not knowing where Liverpool was but that was soon put right. “It’s true that I had never been to Liverpool and didn’t know anything about it, but I soon learned,” he laughs. Despite that he celebrates his 48th birthday on April 16 - a rare day off on the tour - he still has to sing the hit he had before he was ten, in fact he is still the youngest person to have a chart-topper in the UK. “I learned a long time ago that you don’t mess with people’s memories. I left the song out of the set, but we were at the Wembley Arena and the place erupted and I had to sing it – so basically it was a case of ‘just shut up and do your job’. He is comfortable with it though and even jokes about it. A few years ago, when on tour with his brothers, Jimmy came to the front of the stage and said “okay, let’s get it over with” and sang the song. He admits to not really having a favourite Osmonds’ song. But he does have a soft spot for one of his brothers’ albums. “I love The Plan [their 1973 concept album about their Mormon religion]. Up to then, all the hits had been chosen by the record company, but the brothers rebelled and it paid off – I think people recognise what’s sincere. Jimmy has a high regard for their music repertoire, as he explains. “The songs have really stood the test of time and have been covered by many top artists,” he says. They are all veterans of show-business but are still looking forward to coming over. As previously mentioned, this tour is the biggest one they have undertaken in Britain – 46 concerts in 55 days - and Jimmy is well aware of it. Not only does he enjoy performing for their many fans, the brothers enjoy being together. “It’s great we can celebrate 53 years and still be friends.” Jimmy states. The tour is The Osmonds’ way of showing their appreciation to their fans – sorry – friends. “Yes, we truly want this tour to be a great big thank you to everyone for their love and support through the years.” Concludes Jimmy. The Osmonds Final UK Tour – Up Close and Personal, comes to the Regent Theatre, Ipswich, on Wednesday, March 21.